Summary: A “dirt” glossary! Well sort of… a glossary of terms for garden soils to help you while reading through some of the article at Plant-Care.com. Some terms are older and seldom used and others we find used in out everyday “plant” vocabulary. We’ll be adding more and updating. Complete Fertilizer – A complete fertilizer is one containing all the major elements—nitrogen, phosphorus and potassium, and in some cases many of the trace elements. Three-figure symbols—such as 5-10-5, 4-8-4 and 2-5-7 are in general use to indicate the proportions of these constituents in a given fertilizer. The first figure is always the percentage of nitrogen, the second, the percentage of phosphoric acid, and the last, the percentage of potassium or potash. Thus, a 5-10-5 mixture is one containing 5 per cent nitrogen, 10 per cent phosphoric acid and 5 per cent potash. 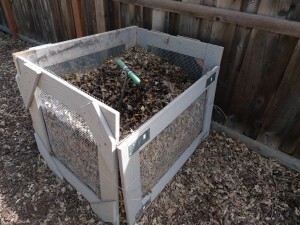 Compost – Compost is a kind of manure made up of a variety of fermented or decomposed materials adaptable to use as a fertilizer. Compost results from the making of a compost pile. which is generally composed of alternate layers of manure and absorbent vegetable refuse such as garbage, lawn clippings, leaves, sod, rubbish, etc. An excellent source of humus, it is the best “filler” or base to use in the distribution of commercial fertilizers, itself being both an invaluable fertilizer and soil conditioner absolutely safe for all garden plants. Conditioner – A soil conditioner is the same as an amendment. Soil conditioners serve to improve the texture of clay or sandy soils (which are deficient in natural chemicals) by linking together the exceedingly tiny soil particles into aggregates. They have no food value. Cover Crop – A cover crop is a temporary crop sown at the close of the growing season simply to cover the ground until early spring. A cover crop prevents erosion as well as the leaching away of plant nutrients, checks the growth of perennials and helps to harden or ripen them by using up some of the soil food. When turned over in spring, a cover crop also adds valuable organic material to the soil. Crust – A soil crust is a surface layer of brittle, hardened soil which forms on many soils as they dry out – particularly after very thorough wettings. Cultivation – In the soil sense, the term cultivation includes all tillage operations from the pre-planting preparation of soil by digging or plowing through all the many after-planting stirrings of surface soil until crop harvest. Most gardeners, however, use the term to refer only to the after-planting tillage of surface soil, which serves to kill weeds, break up a hard crust, aerate the ground and establish a dust mulch. Damping-Off – Damping-off is a condition not a disease of seedlings which produces wilting and death. It occurs just before or after the seedlings emerge from the soil and is caused by any of a number of fungous parasites. Once a seedling is affected, there’s no cure. However, damping-off can be prevented by ventilating and drying the seedbed and by preplanting treatment of seeds or soil with heat or chemicals. Drainage – Drainage is the natural or artificial filtering or channeling off of excess water by means of ground slope and open ditches, and in the case of subsurface drainage by use of special porous tiles. Drainage of small, waterlogged plots can often be improved by the addition of coal cinders, sand or organic matter. Drainage requirements for potted subjects always include a hole in the pot bottom. Erosion – Erosion is the wearing away of land by action of water, wind or other force. Fallowing – Fallowing is the soil-management practice of allowing land to rest, without any crop on it, for one or more seasons. The only cultivation during this period is surface tillage to discourage weeds. The purpose of fallowing is to afford soil the benefits of the uninterrupted play of sun, wind, rain and frost on it, which action serves to build up soil’s productive capacity and water-storing ability and also serves to starve out any existing soil pests, diseases and weeds. Fertility – A fertile soil is one which has good physical structure and the nutrient elements essential to plant growth – but no toxic or harmful elements. It must have the ability to retain sufficient water to support plants, yet not hold an excessive amount. It must also be well aerated. Fertilizer – A fertilizer is any material—organic or inorganic—which when added to the soil hastens the growth of plants, improves their quality, increases their size or yield and/or improves the soil. Friable – A friable soil is one which can be easily cultivated or dug. It crumbles readily in the fingers. Green Manure – The term green manure applies to any crop grown for the sole purpose of being plowed under and thereby improving the soil by the addition of organic matter. Hardpan – Hardpan is any hardened or cemented layer of soil which prohibits the penetration of plant roots and the filtration of water. Heaving – Heaving is the alternate rising and falling of plants in the ground caused by successive freezings and thawings. A light, well-drained sandy soil heaves only slightly. A heavy clay or silt soil may heave sufficiently to lift some plants completely out of the ground or tear the crowns of others away from their roots. Heavy Soil – A heavy soil is predominantly clay or silt. Its soil particles arc so fine they prevent the easy flow of water and therefore retain an excess, becoming muddy in wet weather. Horizon – Soil horizons are the several distinct layers of soil lying approximately parallel to the land surface and produced through the operation of soil-building processes. Each horizon has more or less well-defined characteristics and color. The upper or A Horizon is usually dark and contains leaves, decomposed roots and dead and decaying matter of all kinds. This surface soil with its organic residues is usually the most fertile layer. The B Horizon, lighter in color, is made up of finely ground rock particles and contains some plant roots. The third or C Horizon is composed of original rock. Heirloom Plants – What Are Heirloom Seeds and Plants?